--the dreamer-- through the mask. Come Explore your greater potential through exploring the portal of your dreams in this group setting. We will explore the hum of where the dream is speaking to you--opening doors to your creative expression of this deeply important relationship to your inner Self. Previous dream work is unnecessary--only an interest in your dreams and a desire to learn more about them. We will work in a supportive and safe environment where each participant will be invited to share their dreams and also benefit from the other group member's questions, reflections and insights about the dreams--thus allowing for everyone to be enriched by the experience of working with each other's dreams. Come explore your greater potential through exploring the animals in your dreams in this creative workshop. 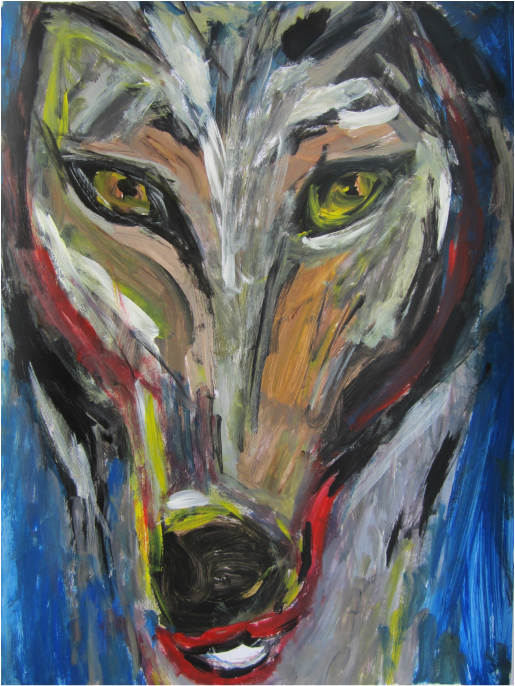 We will paint, draw and express our experience of the animals whom have come to us as living presences, bearing instinctual wisdom for us the dreamer. Art/dream experience not necessary! Supplies included. Come explore your greater potential through exploring the portal of your dreams in this group setting. We will explore the hum of where the dream is speaking to you--opening doors to your creative expression of this deeply important relationship to your inner Self. Previous dream work is unnecessary--only an interest in your dreams and a desire to learn more about them. We will work in a supportive and safe environment where each participant will be invited to share their dreams and also benefit from the other group member's questions, reflections and insights about the dreams. Allowing for everyone to be enriched by the experience of working with other's dreams--as often our dreams speak of what we do not know about ourselves and seeing other's dreams can therefore be quite beneficial to our own learning. WHEN: Wednesday, April 22, 2015 to Wednesday June 10, 2015. Come explore the greater potential in you through exploring the portal of your dreams in this group setting. We will explore the hum of where the dream is speaking to you--opening doors to your creative expression of this deeply important relationship to your inner Self. Previous dream work is unnecessary--only an interest in your dreams and a desire to learn more about them. We will work in a supportive and safe environment where each participant will be invited to share their dreams and also benefit from the other group member's questions, reflections and insights about the dreams. Allowing for everyone to be enriched by the experience of working with other's dreams--as often dreams speak of what we do not know about ourselves and seeing other's dreams can therefore be quite beneficial to our own learning process. Parking Entrance on 86 Ave.
Come explore the greater potential within you through creating the images from your dreams in paint or pastel. Participants are asked to bring a dream or dreams--recent or from the past as early as childhood. Art supplies included. Art experience not necessary. our own destiny, how to realize the greater potential of life within us." Almost 28 years ago, I dreamt of a beautiful plum woman flowing as she moved through the forest. Hers was a special gift, for with her paint brush, she could touch both nature and paper at the same time. I took up that paint brush and through painting the images in my dreams–I found a great healing. 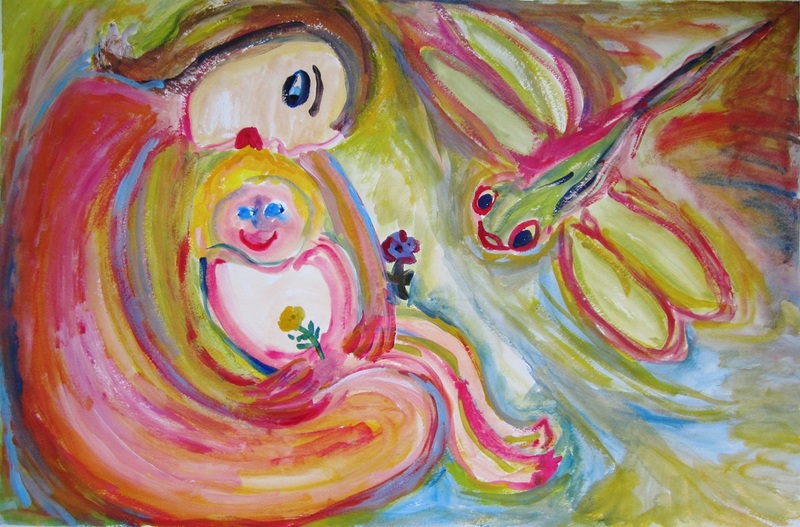 I would like to present through some of these paintings, the experience of coming to know what von Franz describes as the greater potential of life in us. Exploring this art through the work of Carl Jung, not just as theory--but lived experience.